I try to send a short newsletter around the Trent and Dove Circuit each week. This is the message I have sent for this week, the first since coming back to work…………………..
I`d like to begin by saying a very big THANK-YOU to all those who have supported, sent cards, telephoned, visited, e-mailed, Facebooked and even tweeted me; it has been truly overwhelming and very humbling. Your love, support and prayers have helped me enormously. Thank you. A special thanks to Gordon Greswell who stepped in so readily as acting Superintendent and relieved me of the anxiety of trying to hold meetings, arrange funerals, worship services and so on. Gordon has been a huge star and I thank him, not simply as a colleague but as a friend. Other members of staff have also been magnificent, visiting in hospital, sending books to read, jigsaws to complete and even a magnificent Lego helicopter all to ensure that I rested. Stella stepped in to take over the supervision of Lew as probationer. Gordon and Stella will reprise these roles whilst I am on sabbatical. 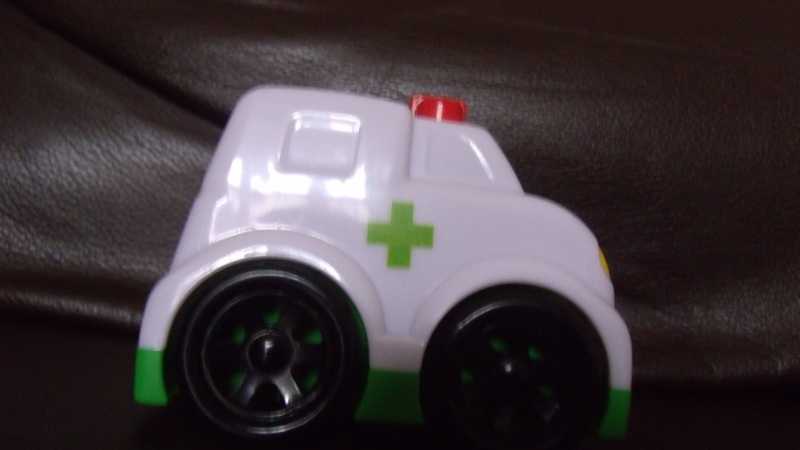 What goes through your mind when you’re lying in the back of an ambulance with the sirens going en-route to hospital? Well, some of you will know far more than I and I can only speak for myself. I felt fear, honest fear. I was sweating profusely, pain across my chest, confused and genuinely scared. To those who say “if you`re a follower of Jesus, you needn`t be scared” I say it`s rubbish. I’ve followed him ever since I was 16 but all the head knowledge doesn`t fully remove fear. The second thing I felt was total admiration for the lady on the other end of the 999 call, the paramedics and the hospital A&E staff. Calm, efficient, professional, caring and totally understanding. We have a health service to be proud of. Thirdly, even in the fear and confusion I felt blessed and upheld by the thought that Jesus was with me in the ambulance and then in A&E. Many of you will understand how it is possible to be both frightened and yet still retain the knowledge of a loving Saviour who said “……..I will be with you always”. In many ways it doesn`t make sense and yet it is a reality. And this is the reality we live with as Christians: placing our trust in the one who sees the bigger picture, not to have the reality of fear removed but to have the assurance that he walks the path with us. At last I`m feeling able to sit down and record some of my thoughts about the week which has just past, which as some of you are aware was quite scary. On Tuesday (3rd Feb) I set off reasonably early in the morning for the District Superintendents meeting, an occasion I always enjoy this gathering because of the fellowship and friendship: these are the only other people who can truly understand life as a Methodist Superintendent Minister and so the support and knowledge amongst the group is invaluable. En-route, I began to feel poorly, pulled into a lay-by and called an ambulance. By the time the meeting was beginning I was in the back of an ambulance in a lay-by not far away. Thankfully they quickly ruled out a heart-attack and a stroke but still whisked me to the Queens Medical Centre, at one point with the sirens going ! Fairly quickly A&E established that I had pancreatitis and so by 5 in the afternoon I found myself on a ward, attached to a catheter and on a fluid drip. The following day I underwent an ultra-sound scan and a CT scan and on Thursday I was sent home with the order to rest for two weeks. No gall stones were found and no sign of alcohol abuse (although I`m still not sure they believed me when I said that I rarely drank, as it is one of the causes of pancreatitis. So here I am now, avoiding work completely, resting, getting ridiculously familiar with day time TV and bored out of my mind, but it has to be done for the better long-term future. I will have to return for ongoing tests as they’re still searching for the elusive gall stone and it has flagged up an increase in my blood sugar levels so that will have to be monitored. What has it taught me? Many things but primarily that there is folk who think a lot of me and that is to be remembered. Alison, my wife has been terrific in holding down her own employment and yet still finding the time to look after me; my daughters and their partners who responded with care, insulting cards and a toy ambulance almost immediately gave me a massive boost; my brother Andrew and Cathy who kept a text dialogue going and liaised with Dad; the love and care of my current circuit in releasing me without question for this rest period but also the love and good wishes of all my previous circuits who all made contact in some way (wow! I`m actually remembered); the sheer volume of cards, the wonderful basket of fruit from the MSM team, the well wishers on Facebook. It all serves to remind me of the great and often hidden, but nevertheless present, fellowship that we all have with each other when we care about people rather than material things. Secondly, it has reminded me of what a terrific NHS we have. I don`t know the solution to the funding issues of the NHS but what I do know is that from the moment I dialled 999 to the moment I was discharged I received some great care, professional help, and access to a tremendous wealth of knowledge contained amongst the medical staff. Yes, there are things that could and ought to improve but don`t lets knock those who have given their lives to serving the needs of others. I was a great supporter of the NHS before and an even greater one now; it isn`t a place for profiteering. Thirdly, I`ve always felt that a good Methodist Circuit can run smoothly when any one of its staff is missing for what ever reason. 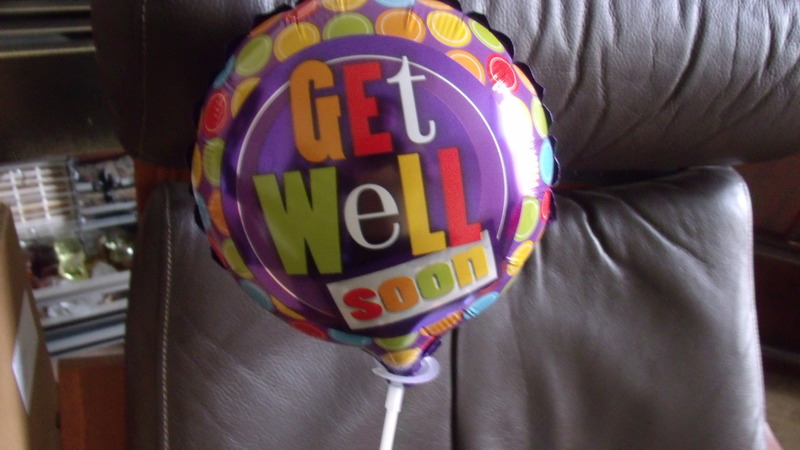 This week I`ve found out what a good and caring staff I have. Whilst in hospital one member of staff went straight there to visit (sadly, I was in a different hospital, but I do appreciate the care taken), another has taken over the supervision of my Probationer Minister, a third has taken on the Superintendency responsibility. 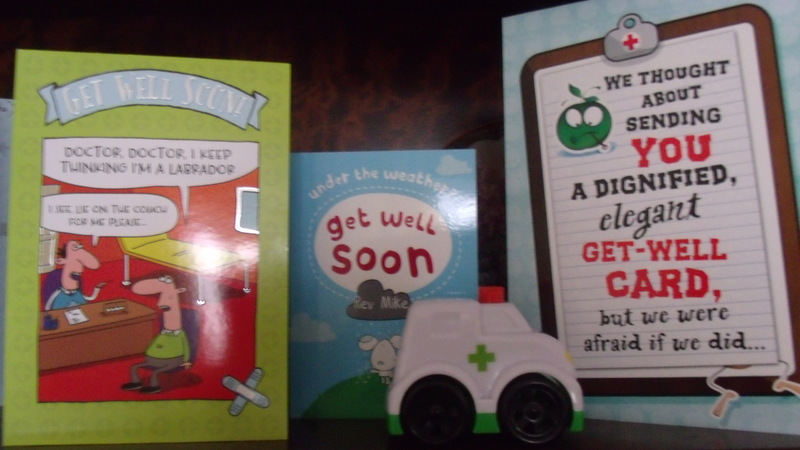 Lew, the Probationer Minister himself has phoned to ensure I`m on the mend. In addition to the staff support I have also received the love and support of their families. Two have offered whatever help is needed and Carly even arrived with their baby son Max, which was a wonderful lift that I needed on that day. Not sure about the lego technic helicopter shes loaned me and challenged me to build though !!! lol Finally, the support of my Chair of District has been incalculable, keeping in telephone contact and arranging the sending of a card and all this at an extremely busy and difficult time for her. Not how I envisaged starting the year off but perhaps the greatest thing of it all has been the peace and contentment I have found, because I am sure that at all times I was in Gods hands, through all the care and love mentioned above. The last week has felt like something of a fog but now as I look back I can feel that somehow God was with me.